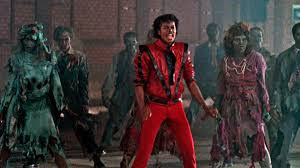 The estate of Michael Jackson says a 3-D version of the late singer's iconic "Thriller" video is set to debut at the Venice Film Festival more than 30 years after its original premiere. The estate says the "latest available technology" was used to convert the 14-minute short film from an original 35mm negative to 3-D. Although the film wasn't re-edited or recut in any way, director John Landis says he was able to "use the 3-D creatively" and promises "a rather shocking surprise." "Michael Jackson's Thriller" debuted in theatres and on television in 1983. An hour-long documentary detailing the making of the video will also screen at the Venice festival, which runs from Aug. 30 to Sept. 9. Jackson died in 2009 at the age of 50.